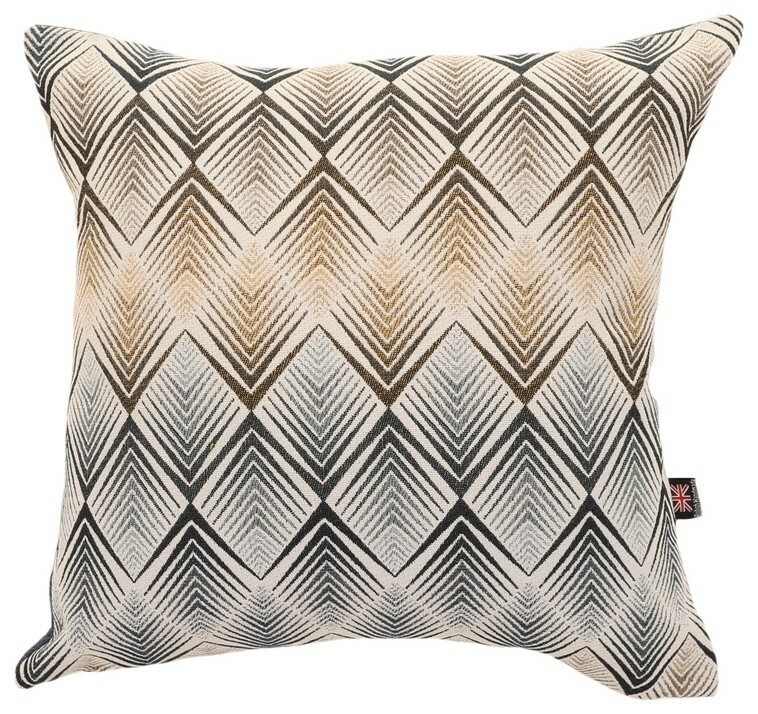 Smaller angled lines come together in a dazzling diamond pattern on the front of this 55-by-55-centimetre cushion. You can easily pair the unique geometry and soft feel of this cushion with a guest bed or living room sofa. From deep within the UK, the family-run Yorkshire Fabric Shop produces upholstery fabrics and a wide range of cushions for homes across the world.